"Bank Rates without the Bank Hassle!" Why do business owners get frustrated with the complexity of offering finance programs to their customers? But the advantage of offering payments to customers is a key ingredient to success. 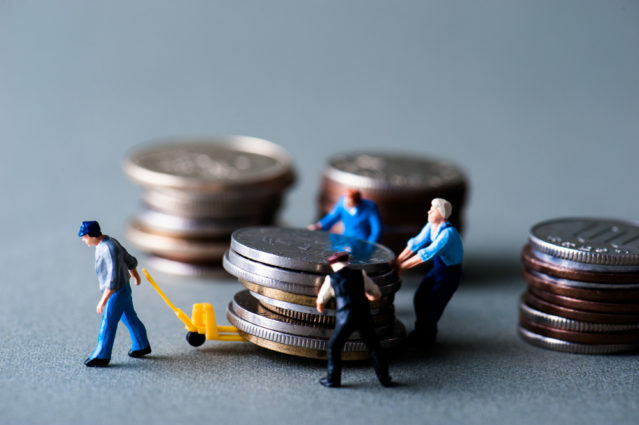 With more than 90% of all small business equipment being financed, you HAVE to offer financing. But that doesn’t mean you have to be the expert in it. Great finance people simply do it all for you. They handle the application, the financial and credit conversations, the documentation and paperwork, offer fast approvals and fast funding. They only win when you win, so they are ultimately motivated to make sure you and your customer are happy. You are notified if a prospect fills out a form and your finance partner can keep you updated on the progress of the opportunity. This allows prospects to get comfortable with the concept of financing at their own pace without a hard sell. All you have to do is tell them you offer competitive financing and simply send them to the web link. At Lease Genie, we believe in real partnerships and are happy to provide a secure online application branded to your company, at NO charge! We offer vendor finance programs for dealers that keep things downright uncomplicated. Contact us today to learn more. This entry was posted in Uncategorized on September 21, 2016 by . Are you looking to lease and finance equipment to help your business operate and grow? How will you be using the equipment and how long will your company need it? Perform a simple cost/benefit analysis by comparing the anticipated costs to the revenue you expect to generate from using the equipment. Does your equipment finance partner understand your business? It is beneficial to work with an equipment leasing and finance company that understands your particular market. It is also important for the company to understand your business’s tax and cash flow requirements and be able to set the residual rates. Your equipment financier can also serve as a valued consultant. Have you calculated your total payments and costs? Review the number of payments you will owe, the total monthly payment due and any additional costs related to insurance, taxes and other charges. Also, find out if there are costs associated with the lease or finance transaction that may occur during the course of the agreement term, including late payment fees and other surcharges. Do you understand the terms of your agreement? Who will assume the costs for the equipment’s insurance, taxes and maintenance? Who is responsible for installation and maintenance cost? Can you upgrade or add equipment under this agreement? What are your options at the end of the lease agreement? What procedures must you follow if you choose to return the equipment? Are there any extra costs at the end of the agreement? This entry was posted in Uncategorized on July 21, 2016 by . In today’s world, credit checks (also commonly referred to as “inquiries” or “pulls”) are commonplace, and we don’t always consider the pros and cons of letting lenders look into our reports. Understanding the difference between a hard and soft check can make all the difference. Hard inquiries remain on your credit report for two years and are a sign that you are actively seeking new credit. While, soft inquiries aren’t visible on your credit report (except to you) and don’t impact your credit score and stem from a variety of causes. When are Hard Inquiries necessary? When are Soft Inquiries necessary? 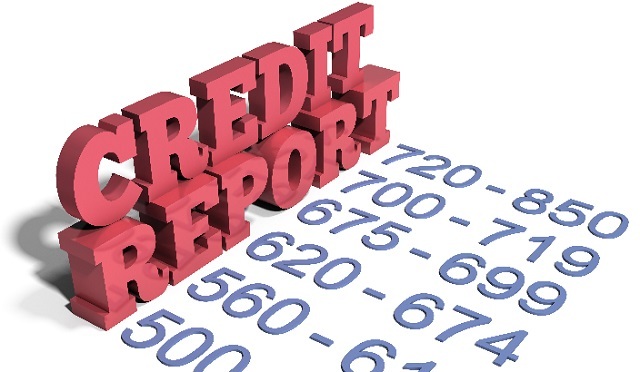 At the end of the day, credit report pulls are common practice, but they do have an impact. To limit the negative effect of hard inquiries on your credit, try to avoid unnecessary credit accounts and be strategic when you shop for an equipment lease or working capital loan. Next time you’re asked to authorize a credit pull, be sure to ask what type it is, and move forward only if necessary. 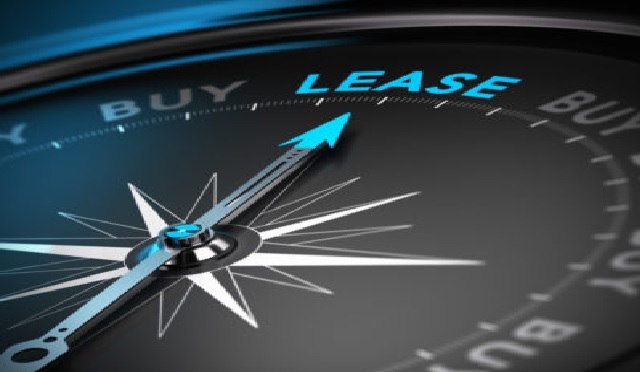 To learn more about financing options for your business, contact Lease Genie today. This entry was posted in Uncategorized on June 21, 2016 by David Craig. 6 Reasons to Choose Equipment Leasing over a Loan? Many banks often require the individual or business to have a non-interest-bearing secured reserve of 10 to 20 % of the loan amount. This is called the “compensating balance”. What this means is the advertised low interest rate is in reality often 2 to 3 times the quoted percentage. Why is that? It’s because banks are actually only lending you 80 to 90 percent of the money, while you provide the rest. Banks typically have a lengthy application process, and require personal and business financials, just to begin the funding/loan application process. Banks will generally file a blanket lien against all of your assets, not just the equipment you are financing. Leasing companies, on the other hand, will file a UCC against the single asset being leased. Banks will rarely finance the soft costs of installation, freight, or software. These are considered non-tangible assets and therefore, cannot be financed by a bank. A loan from a bank is often depreciated over 5 to 7 years. Depending on the lease structure, the equipment lease is normally a capital lease and can be 100% expensed. Lease payments, for the same equipment, are treated as a business operating expense, so there is no depreciation schedule to worry about. The Federal government regulates banks and that limits creativity, risk, and responsiveness when approving a loan. A bank’s approval process is historically slow and cumbersome. A lease program’s credit approval and funding is generally done within hours for approval and funding within one or two days, with few financials or paperwork requirements. All costs including delivery, installation, training, hardware and software and services can be included in the lease. Tax advantages vary with the lease structure, so it is best to confirm these with your accountant. This entry was posted in Equipment Leasing on May 18, 2016 by David Craig. 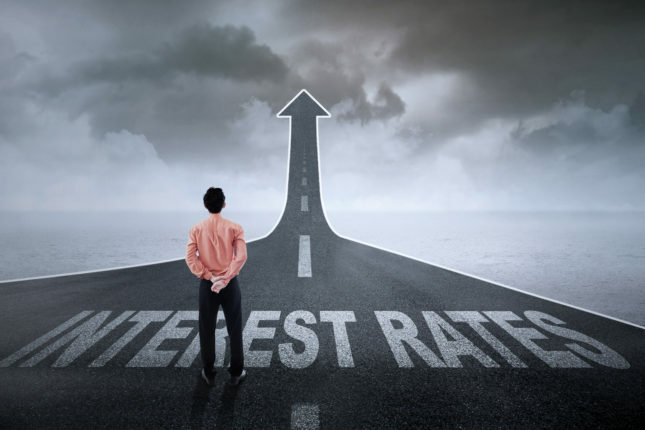 How Do You Calculate Interest Rate? This can be a burning question among many people including business owners. We put this together to help you break it down into pieces to make the process a bit simpler. Can I find the interest rate amount on my loan paperwork? You might find it on the note, next to the principal amount. Usually the amount of the pre-computed interest can appear on installment loan documents. However, the lease document does not show the equipment cost or the interest rate. When a loan is booked, the lessee books the equipment cost as registered as a capital equipment purchase. The equipment is depreciated under the Modified Accelerated Cost Recovery System (MACRS). So how do I determine the equipment cost, and the interest rate in a Capital lease with a bargain purchase option? First discount the lease payment (or rent if you prefer) at the incremental bowering rate (IBR) (average cost of money over like term on secured transactions) to determine the net present value (NPV) of the rent stream. Then they subtract the NPV from the total rent to determine the interest. If you discount the rent at your IBR, then the interest will be equal to the IBR. On occasion if the lessor’s actual return is higher than the lessees IBR it will become part of the NPV not the interest rate. Consider a $100,000 loan at 10% over 60 months with payments of $2,124.70 in arrears. The equipment cost is clearly $100,000, and the total interest is $27,482.26. Now we will price a lease with a $1 purchase option with a $100,000 at 12% over 60 months with payments of $2,202.42 in Advance. The lessee would discount the rent of $2,202.42 at their IBR at let’s say 9%. The discount would yield a NPV of $106,893.76. This amount would be booked as the equipment cost, and after subtracting this cost from the total rent the interest would be $25,251.44 reflecting a 9% rate. This entry was posted in Equipment Leasing and tagged Calculating Interest Rate on April 12, 2016 by . How Can My Business Save Tax Dollars With Section 179? You may have heard about Section 179 of the Internal Revenue Code, an exciting new way to minimize your tax burden. The good news? This part of the tax code was created to benefit small to medium-sized businesses just like yours! We’ve put together highlights of what 179 can do for you. Sec 179, for short, is a law that allows businesses to deduct the full purchase price of any equipment leased or financed during the tax year. While there are dollar limits and some stipulations, most companies can take advantage of IRC Section 179 for the 2016 tax year. Section 179 expenses or deductions are simply how much money a company can save with this part of the tax code. Any qualified assets up to a certain amount can be expensed as long as they are placed into use during the current tax year. How Much Money Can Section 179 Save You? Every small to medium-sized business is different, and each of these companies will be able to use Section 179 in a different manner. The important fact to know about Internal Revenue Code (IRC) 179 is it’s truly a small business tax incentive and not created for large corporations. The spending cap for the current year under Section 179 is $500,000. This means if you finance a piece of equipment, you can deduct the Full Purchase Price (up to $500,000) from your gross income. The old limit was $25,000. This means you can purchase more equipment and still have the benefit of the Section 179 deduction. For equipment purchases over the Section 179 deduction limit of $500,000 you can deduct an additional 50 percent of the amount over $500,000 in addition to the standard depreciation deduction. This applies to equipment acquired and put into service during the 2015, 2016 and 2017 tax years. The bonus depreciation will phase down to 40 percent in 2018 and 30 percent in 2019. The old limit was $0. To break this down, if a company spends $500,000 on business equipment in the year, they would be eligible for a $500,000 equipment tax deduction under Section 179. Bonus depreciation old limit was $200,000, and in 2015, was raised to $2,000,000. This may be a bit oversimplified; however, this is the gist of Section 179 deductions. Understanding how this part of the IRS Tax Code works is one thing, but making it useful for your company is another. Just remember to run anything tax-related past your CPA. Here at Lease Genie we understand the ins and outs of Section 179. If you’re striving to maximize every penny in deductions, we know how to make this tax code work for your business. We finance clients of all credit ratings and help companies take advantage of Section 179 deductions. Contact us today. This entry was posted in Equipment Leasing, Section 179 and tagged 179, 179 deduction, Bonus depreciation, equipment tax deduction, IRC section 179, Sec 179, Section 179, Section 179 deductions, Section 179 expenses on March 29, 2016 by . Need a piece of heavy machinery for your construction or agriculture business? From construction equipment to farm machinery finance, there are solutions so you can run your business more efficiently. Here’s a top 12 list of some heavy equipment. While the list below is not exhaustive, you’ll get an idea about the types of construction equipment and farm machinery you can finance. Cranes: This tall construction equipment created to move heavy objects is expensive, but a crane can easily be financed. Road Rollers: The road roller is also a useful piece of heavy equipment, but due to the price tag, most of them need construction equipment financing. Loaders: Most popularly known as a loader, wheel loader, bucket loader or payloader, this piece of heavy equipment is essential to most construction sites. The value a loader provides often comes with a high price tag that needs financing. Crawlers: Also known as a bulldozer, this machine is one of the most popular types of construction equipment. This burly piece of construction machinery comes at a hefty price that may need to be financed. Excavators: A popular piece of heavy equipment at construction sites, an excavator machine is controlled by a crane and designed to dig. No need to dig deep in your own pockets when you can utilize heavy equipment financing. Forklift: Used to move materials in warehouses, construction sites and even some office environments, the forklift is an incredibly useful piece of heavy equipment. The machinery can also be expensive, requiring financing. Motor Grader: Seemingly less common than other pieces of construction equipment, the motor grader still has its place on a construction site. Be forewarned: this piece of heavy equipment is big and expensive. Financing can help spread the cost out over time. Backhoes: These machines are more reasonably priced than some other heavy equipment, but can still typically be financed. Compactors: These machines offer users ways to compact waste, soil and other materials. Compactors are useful on construction sites, landfills and on farms through construction or farm machinery finance. Irrigation: Installing new irrigation systems throughout farmland can be costly but a necessity for growing crops. Investing in a new system is easy with agricultural machinery finance. Tractors: Tractors range wildly in price but are often worth the investment due to the efficiency created. Farm machinery financing can make it affordable. Seeders: If you’re a farmer, a seeder is essential. The good news is farm machinery finance can help you acquire this must-have piece of agricultural equipment. 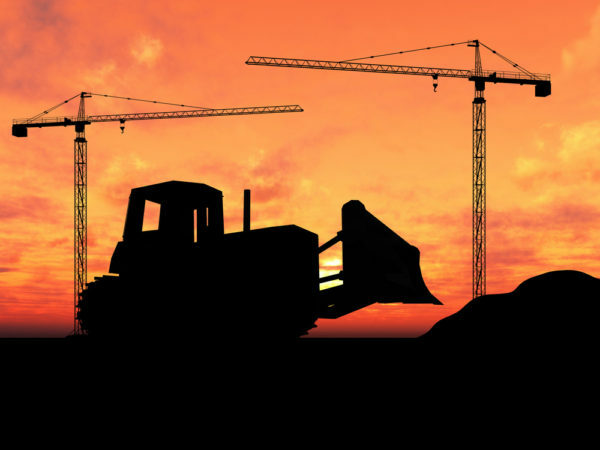 No matter what kind of construction or farming equipment you need to finance, we can help. We work with all types of clients, not just ones with an A+ credit rating. Let us help you grow your construction or agricultural business by contacting us today! This entry was posted in Equipment Leasing and tagged Agricultural machinery finance, Construction equipment, Construction equipment financing, Farm machinery finance, Heavy equipment, Heavy equipment financing, Types of construction equipment on March 22, 2016 by . The modern business climate is cutthroat, margins can be small and competition is fierce. Not only that, but customers have become savvier than ever, and therefore, sales are harder to close. No industry understands these facts more than equipment dealers/vendors. Financing options are vital to closing deals, increasing market penetration and controlling your sales region and customer base. As such, most equipment dealers/vendors understand the importance of offering a finance program to their clients and utilize their vendor financing operations to finance their clients. If you’re unsure about how these programs impact your business, we’ve put together this handy guide to explain vendor financing. How Does Vendor Finance Work? Vendor finance programs are merely leasing / financing options made available by Lease Genie to aid and increase equipment sales by you, the equipment dealer/vendor. For instance, a small construction company needs to purchase a bulldozer for a new project. While business is booming for him, he still doesn’t have all the cash needed for a heavy equipment purchase. In order to complete the bulldozer sale, you partner with Lease Genie, a vendor financing company. Upon approval, they pay you cash for the equipment, and your client pays the finance company (Lease Genie) over a set term. What to Look for in a Vendor Finance Program? Now that you understand a little bit about vendor financing, you’ll need to know what to look for in a vendor finance partner. Financing, leasing and loans can be a tricky business. The important qualities to note are honesty, integrity and communication, along with credit scores and the type of customers you sell to. Customers with less than stellar credit can be tough to finance. A vendor finance program with the ability to lease / finance all credit levels and all types of business equipment is important when selecting a lease / finance partner. Check for excellent reviews and a high rating with the Better Business Bureau. You can simplify the buying process even further for your customers by offering flexibility and ease in how they apply for financing. Lease Genie Equipment Finance will make life easier for your customers and make selling easier for you, the equipment dealer/vendor. If you’re looking for an honest, reliable dealer/vendor financing program in Omaha, NE, and the surrounding areas, contact us. Lease Genie specializes in providing financing for all of your clients. If finance companies who only work with “A” clients are hurting your sales, please reach out to Lease Genie today! This entry was posted in Equipment Leasing and tagged How does vendor finance work, Vendor finance, Vendor finance program, Vendor financing on March 15, 2016 by . It’s rare laws are enacted to help the small business owner, but there’s good news! 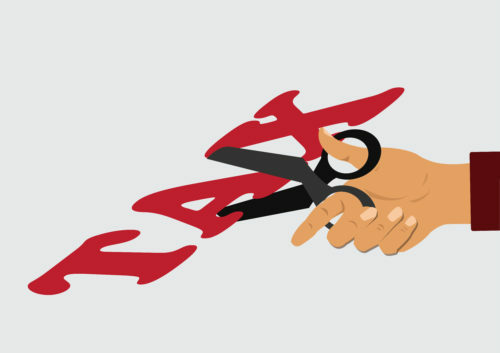 A law has been created to lower the tax burden on small to medium-sized businesses. This law is designed to help family owned and operated businesses, instead of large corporations. If you own a small to medium-sized business, Section 179, also known as IRC 179 or IRS 179, can help you save money so you can boost your bottom line. Here’s what you need to know about Section 179 deductions. 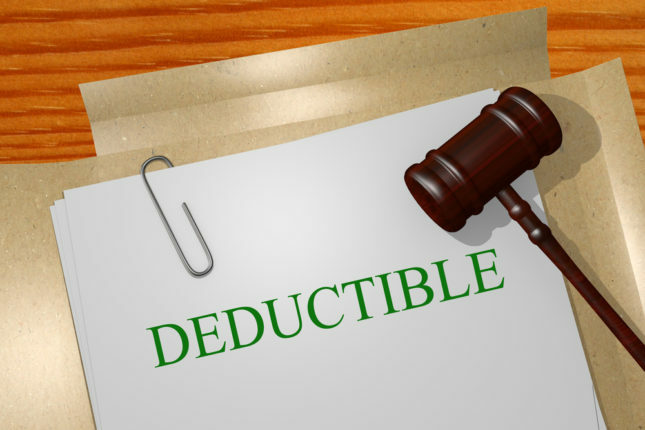 What Are Section 179 Deductions? Section 179 (part of the IRS tax code) allows a business to deduct the full purchase price of leased or financed equipment for the current tax year. This means you can write off the full purchase price of leased equipment with this equipment tax deduction. The equipment you write off must be within certain dollar limits specified within the code. Any equipment you deduct must be placed into use during the tax year the deduction is being claimed as well. Bonus depreciation only covers new equipment after the Section 179 cap is reached. This is a significant advantage to smaller companies that operate on a tight budget. Another benefit some businesses receive from IRS Section 179 stems from carry-over bonus depreciation. Section 179 deductions usually come first, and then a company can claim bonus depreciation once certain limits are reached. If a business has net losses during a tax year, these bonus depreciation credits can carry over. Please keep in mind, as of 2016, the Section 179 deduction limits are capped at $500,000. The spending cap on equipment purchases is $2,000,000. The percentage limit regarding bonus depreciation is set to 50 percent this year. How Can You Determine What Qualifies? By utilizing the appropriate equipment lease financing program and planning to implement new equipment in the field quickly, you can save a lot of money using Section 179 deductions. Small businesses no longer have to fight long-term depreciation struggles thanks to IRC 179. This new tax code helps small businesses keep the cash flowing! Please keep in mind tax laws can change and you should always consult your tax accountant. If you’re struggling to finance the equipment your business needs, contact us. We can help you use IRC 179 to your advantage. Lease Genie provides financing to more than just “A” credit clients and looks forward to helping your business grow. This entry was posted in Equipment Leasing, Section 179 and tagged 179, 179 deduction, equipment tax deduction, IRC 179, Section 179, Section 179 deductions on March 7, 2016 by . As the account year comes to an end, there is a major accounting change coming in 2016, with the FASB’s vote to proceed with its new standard for reporting lease obligations starts the clock ticking. The FASB board voted to proceed with the standard, which will require companies to include lease obligations on their balance sheets. The final Accounting Standards Update is expected to be published in early 2016. FASB decided the upcoming standard will be effective for public companies for fiscal years (and interim periods within those fiscal years) starting after December 15, 2018. For private companies, it will be effective for yearly periods beginning after December 15, 2019. The board will permit companies to adopt the measure early once the standard is published. The big changes to lessee accounting “may require preparers to implement new systems and internal controls and will result in substantial additions of lease obligations to many balance sheets,” the Journal of Accountancy reported. Still, the changes may not be as bad for U.S. companies as they could have been had FASB gone through with previous plans to converge its new lease-accounting standard with that of the International Accounting Standards Board. In August 2014, after years of trying to meld their standards, the two boards announced that they were going to go their separate ways. To learn more about the timetable for the Financial Accounting Standards Board’s new leasing standard, click on the link below to read the entire article. Provide small and medium size business owners with access to a full line of asset based equipment finance solutions. Understanding our client’s business requirements and will assist in overcoming current and future growth challenges. Empowering our clients to meet these challenges and to achieve the growth and profitability. Build a long-lasting partnerships and strives to become your sole source of capital management solutions. You can always count on Lease Genie to foster a relationship based on the principles of integrity, trust, and the pursuit of excellence. Contact Lease Genie for more information. This entry was posted in Accounting Rules/Changes, Section 179 on November 22, 2015 by David Craig. Copyright © 2019 Lease Genie | Equipment Leasing and Financing. All rights reserved.